Unlock 12 exclusive video lessons. To start off this course, we define generative art and computational creativity and discuss how these relate through the study of prominent examples. We establish a typology of generative systems based on levels of autonomy and agency. Generative art is nothing new, and this session goes through the history of the field from pre-history to the popularization of computers. We study chance, noise, fractals, chaos theory, and their applications in visual art and music. This session introduces and illustrate the generative potential of rule-based and expert systems. We study generative grammars through the Chomsky hierarchy, and introduce L-systems, shape grammars, and Markov chains. We discuss how these have been applied in visual art, music, design, architecture, and electronic literature. This session introduces the concepts underlying the notion of artificial agents. We study the belief, desire, and intention (BDI) cognitive architecture, and message based agent communication resting on the speech act theory. We discuss musical agents, conversational agents, chat bots and twitter bots and their artistic potential. In this session, we introduce reactive agents and the subsumption architecture. We study boids, and detail how complex behaviors can emerge from a distributed population of simple artificial agents. We look at a myriad of applications from ant painting to swarm music and we discuss artistic approaches to virtual ecosystems. In this concluding session, we introduce artificial life (A-life). We study cellular automaton, multi-agent ecosystems for music, visual art, non-photorealistic rendering, and gaming. The session also concludes the class by reflecting on the state of the art in the field and its consequences on creative practices. • Ability to describe and apply the algorithms used for generative art and computational creativity using the following paradigms: randomness, noise, rule-based systems, agents and Multiagent systems and ecosystems, as well as cellular automata and artificial life. • Ability to design, implement, and test generative systems by using MAX at an intermediate to advanced level. Philippe Pasquier is Associate Professor at Simon Fraser University's School of Interactive Arts and Technology. He is both a scientist specialized in artificial intelligence and a multi-disciplinary artist. 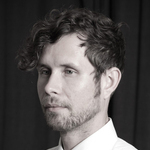 His contributions range from theoretical research in artificial intelligence, multi-agent systems and machine learning to applied artistic research and practice in digital art, computer music, and generative art. Philippe is the Chair and investigator of the AAAI international workshops on Musical Metacreation (MUME), the MUME concerts series, the international workshops on Movement and Computation (MOCO), and he is the symposium director for the 21st International Symposium on electronic Arts (ISEA2015). He has co-authored over 100 peer-reviewed contributions, presented in forums ranging from the most scientifically rigorous to the most creatively arty. 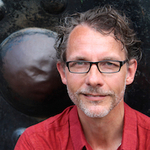 Arne Eigenfeldt is a composer of live electroacoustic music, and a researcher into intelligent realtime music systems. His music has been performed around the world, and his collaborations range from Persian Tar masters to contemporary dance companies to musical robots. He is currently a professor of music and technology at Simon Fraser University, Canada, and is the co-director of the MetaCreation Lab (metacreation.net), which aims to endow computers with creative behaviour. His research into intelligent musical agents has been presented at conferences such as ICMC, NIME, ISMIR, ICCC, GECCO, EvoMusArt, EMS, SMC, ISEA, and CHI, while the artistic output of his systems have been shown at ICMC, SMC, ISEA, SEAMUS, and Generative Arts. • Skill Level: Students should have intermediate knowledge of Max/MSP in order to complete assignments. • Equipment: PC or Mac computer with installation privileges. PLEASE NOTE: Taking part in a Kadenze course as a Premium Member does not affirm that you have been enrolled or accepted for enrollment by the institution offering this course. Credit Eligible students should be prepared to provide additional information and consent to Simon Fraser University terms of service at the start of the course. In order to receive college credit for these program courses, you must successfully complete and pass all 2 courses in this program. If a student signs up for the Generative Art and Computational Creativity program, it is recommended that these courses are taken sequentially. This course is also part of the Program: Generative Art and Computational Creativity, and you'll earn a verified Specialist Certificate after successfully completing the Program. This course is part of the program: Generative Art and Computational Creativity. Programs unlock exclusive content (courses) that helps you develop a deep understanding of your subject.